There are a couple of reasons why you may want your existing Velux glass unit replacing – whether it is just to upgrade to a new low-energy pane or due to the fact that your existing glass unit has failed or cracked. When the glazing unit has deteriorated the level of insulation is greatly reduced. By simply installing a brand new low-energy pane you will not only be extending the operational term of your Velux window, but also helping to reduce your energy costs and carbon copy on the environment. The gaskets are developed to provide airtightness, but over the years they can become stiff and brittle. This tends to happen in units that are more than 10 years old. We Fit For you can replace your gaskets to maintain the airtightness and restore your windows like new. If you place you hand on the side of the lining, does this feel colder than the inner wall? If so, the lining should be dismounted and re-insulated. If your frame and sash are incorrectly aligned this can also cause a draught issue. One of the checks we carry out determines this. At We Fit For You we like to help our customers by offering free advice (if we can) on how you can help prolong your Velux windows’ life. Condensation seems to be a major concern and is actually perfectly normal (this is where droplets of water form on the outside of the glass unit). 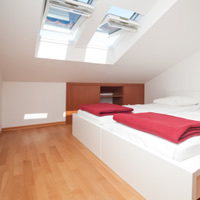 Simply by opening your window a couple of times a day helps with the rooms’ ventilation and should solve the problem. If your pivot hinge seems to be sticking or is becoming harder to move, simply spray with WD-40 or apply grease! It is recommended that you do this once a year. If this doesn’t solve the problem then contact us.